So the words of one amongst a veritable army of critics whose praise pitches Kenner as one of the giants of the pianistic world. Kevin Kenner was the winner in 1990 of the International Chopin Competition in Warsaw and of the Bronze Medal at the Tchaikovsky Competition in Moscow. He records regularly for the BBC in England, where he now lives. At the age of 17, American pianist Kevin Kenner participated in the International Chopin Piano Competition in Warsaw and was awarded the 10th prize and a special prize from the jury for his promising talent. Ten years later, in 1990 he returned to Warsaw to win the top prize, the People’s Prize and the Polonaise Prize. Earlier that year he won the bronze medal at the International Tchaikovsky Piano Competition in Moscow, together with a special prize for his interpretation of Russian music. Other awards include the International Terence Judd Award (London, 1990), the Van Cliburn International Piano Competition (Fort Worth, 1989) and the Gina Bachauer International Competition (Salt Lake City, 1988). 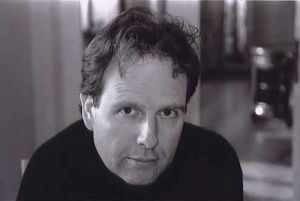 Kevin Kenner has since performed as soloist with worldclass orchestras including the Hallé Orchestra, the BBC Symphony Orchestra, the Warsaw Philharmonic, the Belgian Radio and Television Philharmonic Brussels, the NHK Symphony of Japan, and in the US with the principal orchestras of San Francisco, San Diego, Salt Lake City, Kansas City, New Jersey, Rochester, Baltimore, St. Paul and many others. He has been invited to work with many renowned conductors, including the late Sir Charles Groves, Andrew Davis, Stanisław Skrowaczewski, Jiri Belohlavek and Kazimierz Kord to name but a few.